A very useful cross body leather pouch, ideal for storing your essentials in. 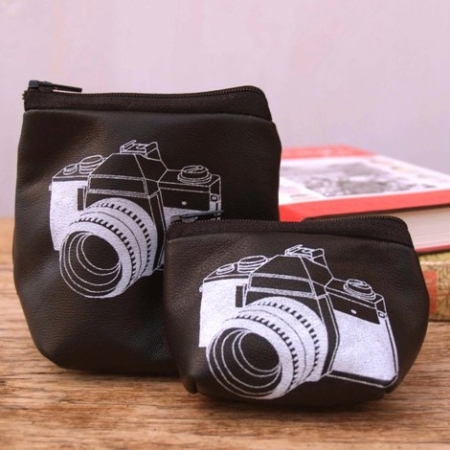 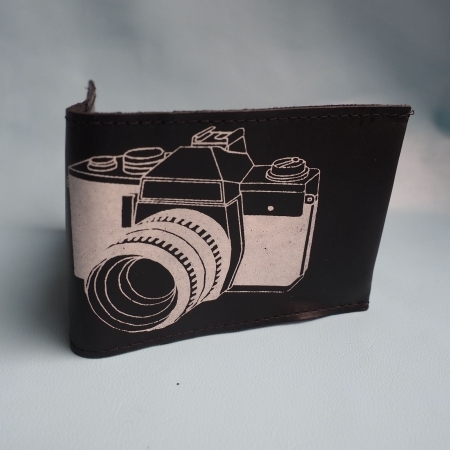 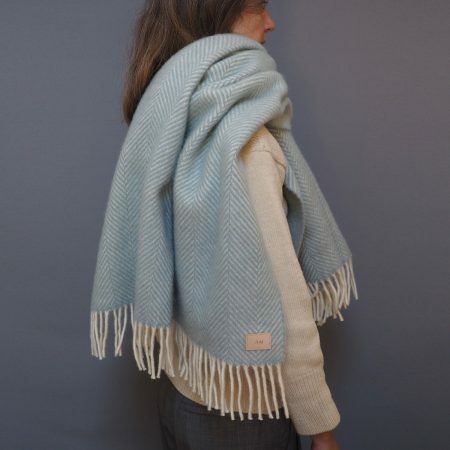 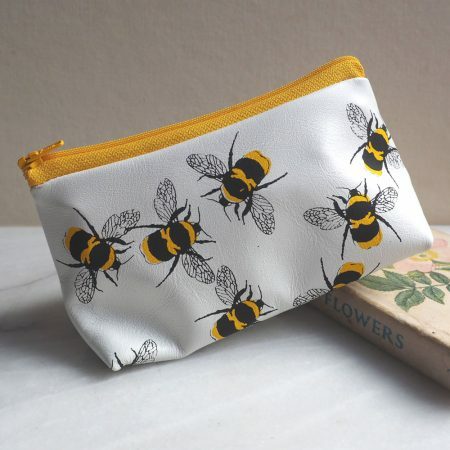 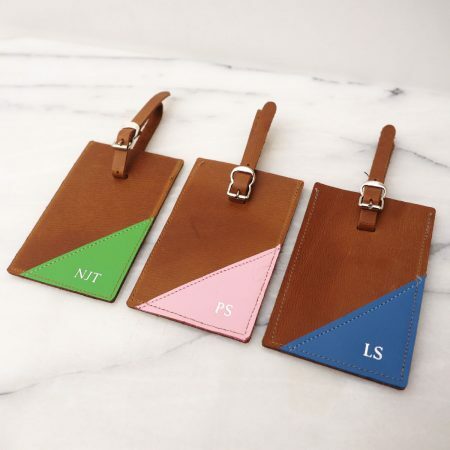 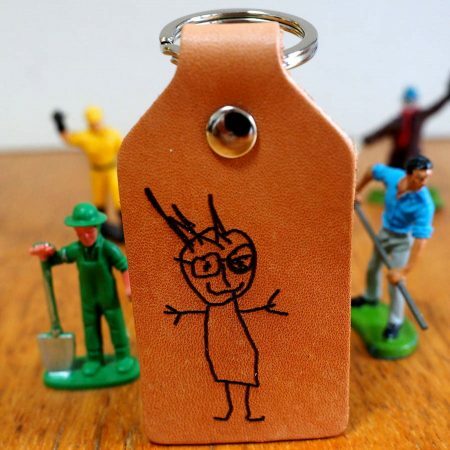 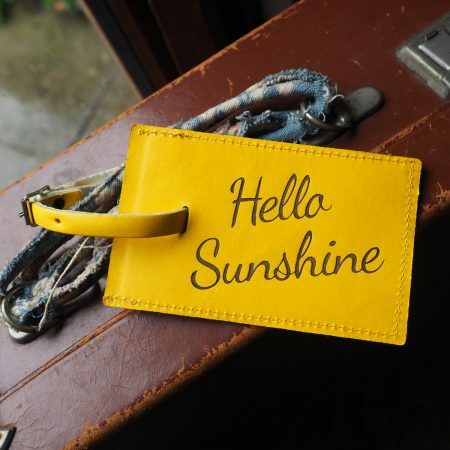 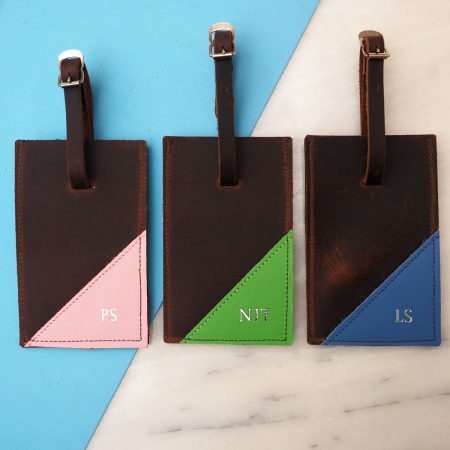 Ideal for keeping say a phone, wallet, set of keys, book and pair of glasses, throw it over your shoulder and head out. 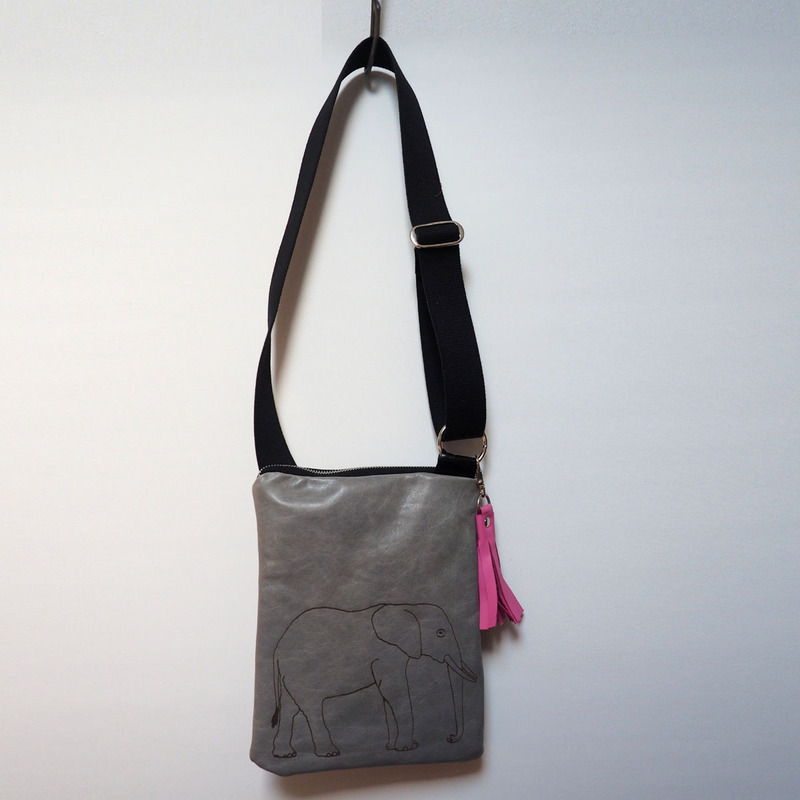 The top is fastened with a zip and there is a large zip pocket along one side. Made from grey leather with a black zip and black strap. 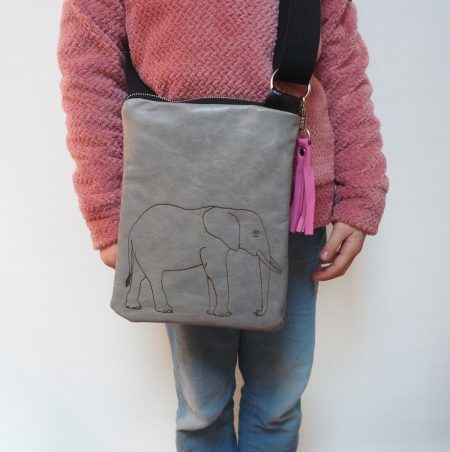 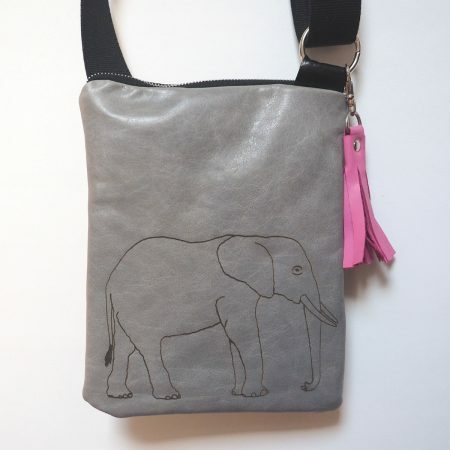 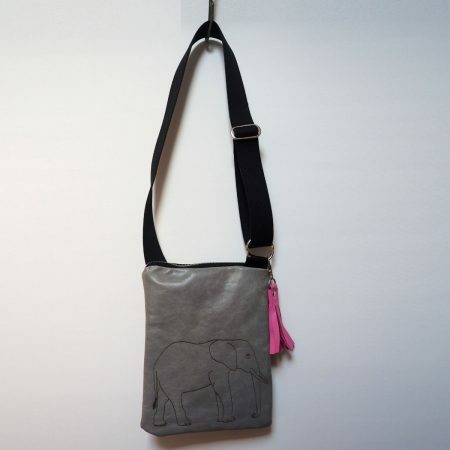 Decorated with a soft pink leather tassle attached to the zip pull and our image of an elephant. 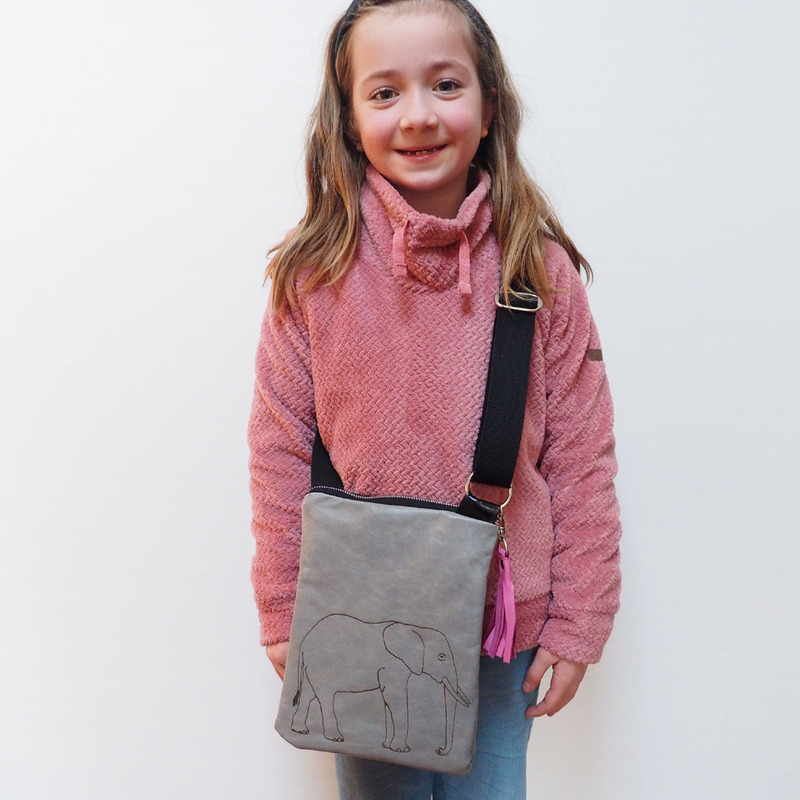 Modelled by an average sized 8 year old so the bag looks a lot larger than it would on an adult (but they do make great day bags for 8 year olds my son loves his!). 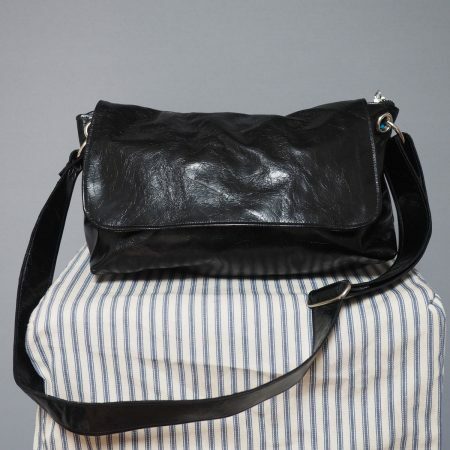 Leather with a cotton lining (linings will vary) with a cotton web strap and silver fittings. 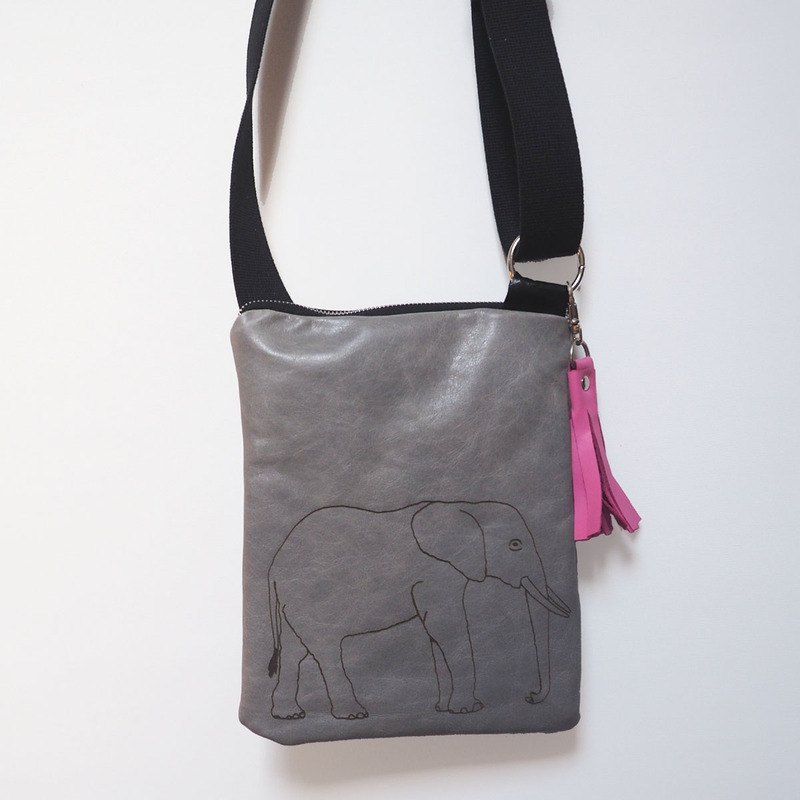 20.5 x 25.5cm Strap approx 60-130cm (extendable).